Join us for stories, songs, and rhymes, followed by group playtime. Come share stories and more with STAR Volunteer Eve! The Transformers' beloved Bumblebee gets his own action movie, starring Hailee Steinfeld and John Cena. Student Zone Hours: Monday to Thursday from 3:30-7 p.m.
4 years 3 months ago. 4 years 10 months ago. 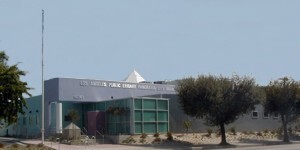 #dogs #lapl Today from 2-3pm the Panorama City Public Library will have service dogs for young children to read to. Come on down! 4 years 11 months ago. Panorama City is located in the Sixth District, represented by Councilmember Nury Martinez.